Other Products by PrimaForce. 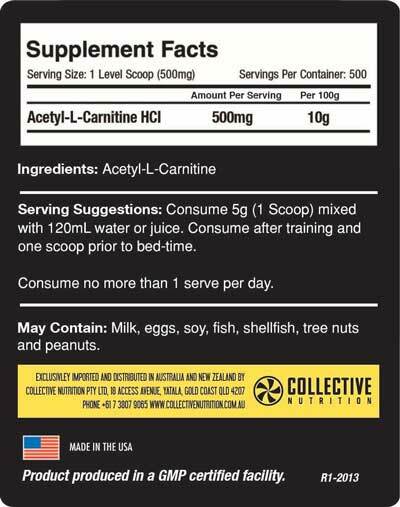 Search other Acetyl L-Carnitine products. L-Carnitine plays a vital role in energy metabolism, specifically the transport of fatty acids into mitochondria where they are burned for energy. Acetyl L-Carnitine supports better performance while dieting and may support overall recovery times after strenuous training while also functioning as a neuro-supporting agent. As a dietary supplement, take one gram 1 to 3 times during the day. One serving should be taken pre- or post-workout.